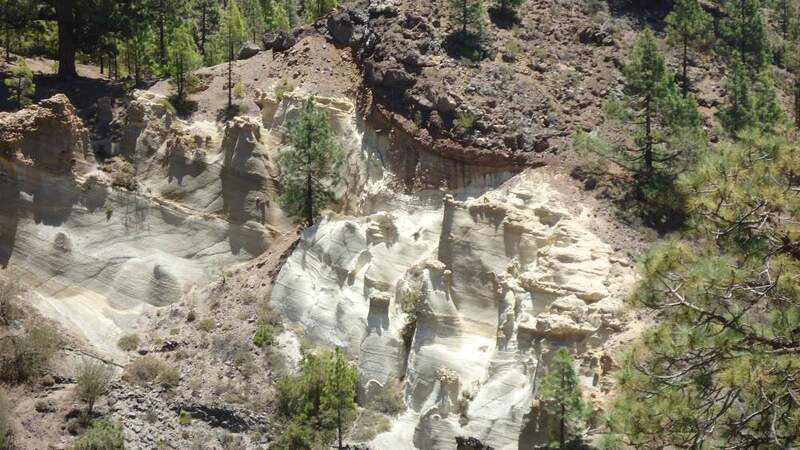 Vilaflor – lunar landscape – Guajara is a demanding tour in Tenerife mountains. 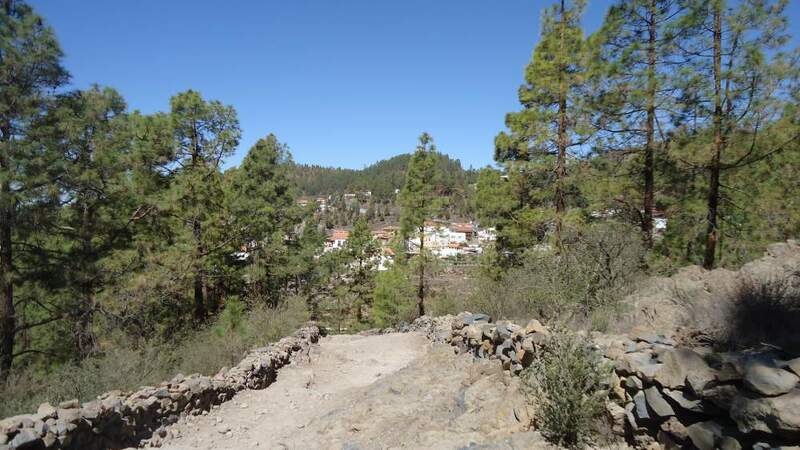 Vilaflor is a beautiful small village on the south side of Tenerife island. 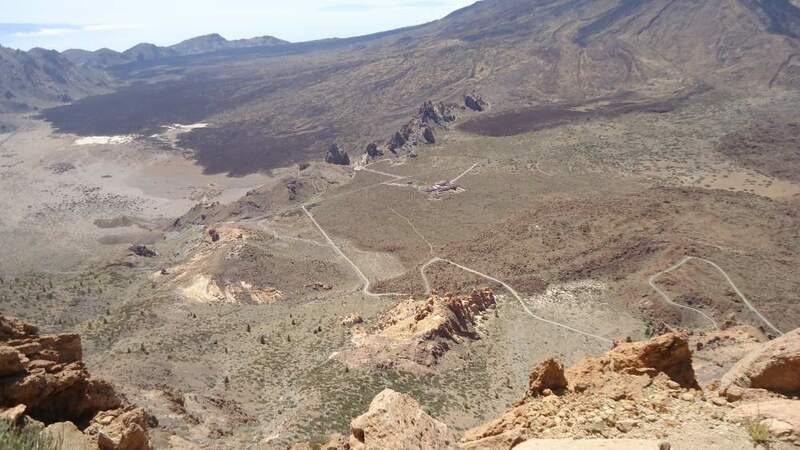 In fact, this is the highest permanently inhabited place on the island and in all Spain. 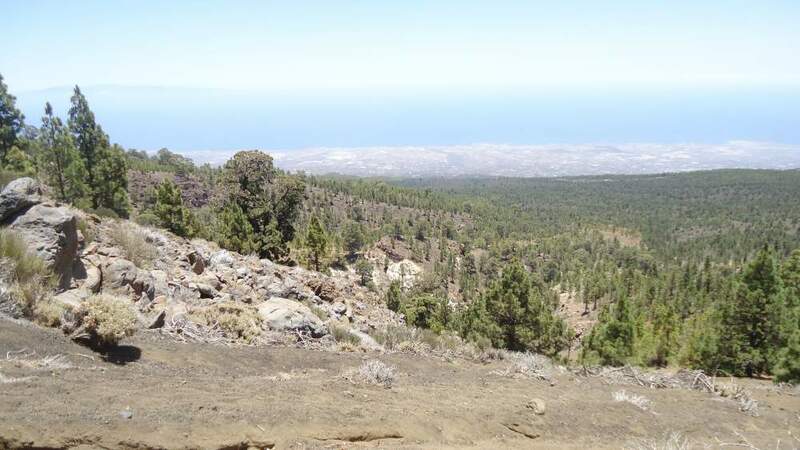 The center of the village is at the altitude of 1430 meters above the sea (literally in this case), and this is the beginning of the route described here. 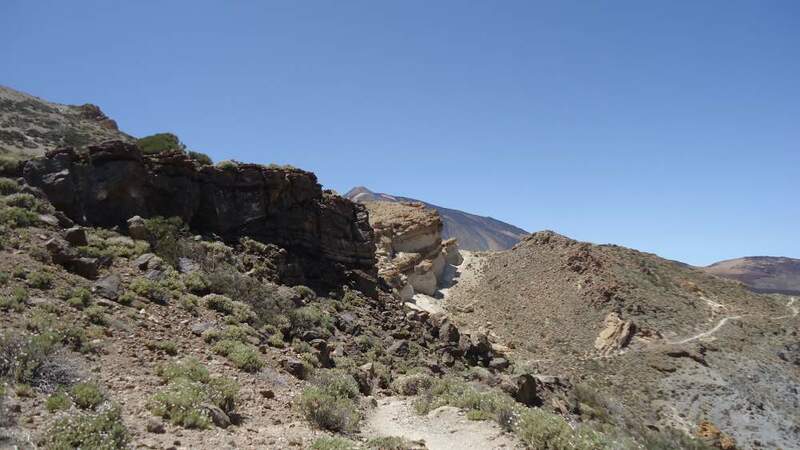 The summit of Guajara mountain is at 2715 m, so the height difference is 1285 m. This together with the harsh volcanic and cork-dry landscape, makes the route difficult. 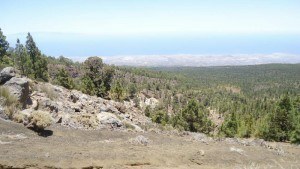 On the way to Guajara from the south side, at 2150 m above the sea. There is a free car parking in the center of Vilaflor, close to the beautiful church. From there you pass the church, walk down the streets for a couple of minutes and then turn to the east. 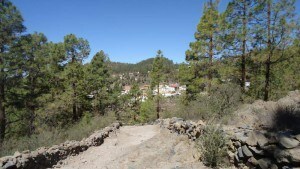 You will pass an area with a water reservoir on your left side, and from that point, the path goes up through a pine forest in the north-east direction. Follow the sign for ‘lunar landscape’ (Paisaje Lunar). 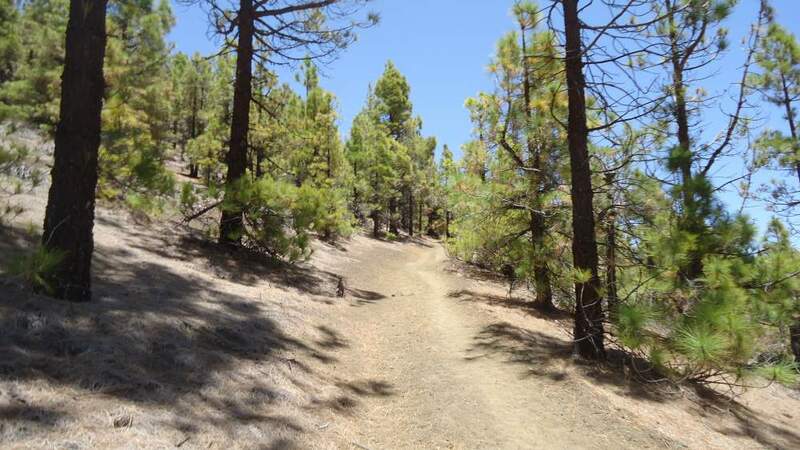 Most of the time the path goes through an area with pines and almond trees. 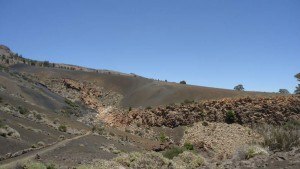 The lunar landscape is an area with an unusual soft-rock formation, formed by wind and rain erosion (see the YouTube videos below). 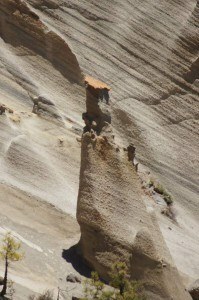 You will reach it after some 6 km from Vilaflor. The route is nicely marked and easy to follow. I walked this part with Stefaan and Mag, and I am grateful for several nice photos given here, which I received from them. If the lunar landscape is your destination, you should plan some 5 hours for the tour in both directions, and take enough water with you. Strong hiking shoes are highly recommended. 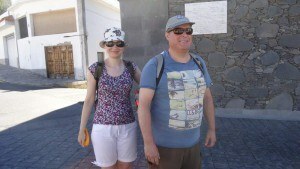 We were laughing after seeing a woman walking in sandals and without any water or rucksack whatsoever. This looked irresponsible. Mag and Stefaan in the village, ready to go. Still far from Lunar Landscape, Mag and me. 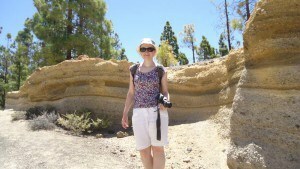 Mag at our first lunar landscape. We managed it, at Lunar Landscape. 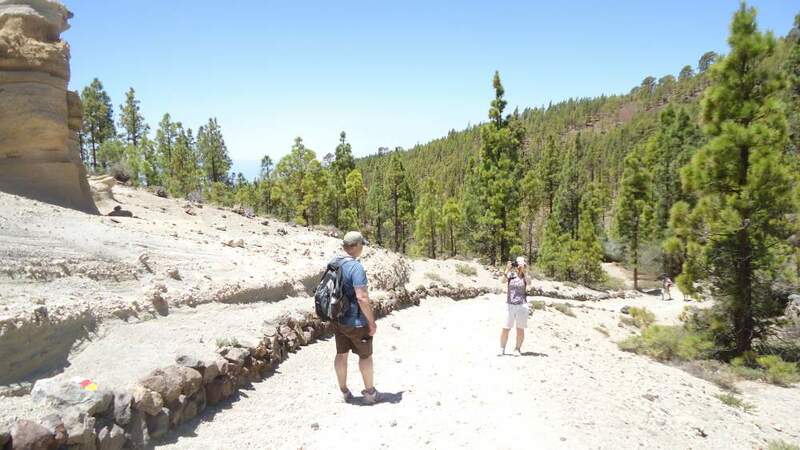 From the lunar landscape, you walk back up to the altitude of around 1960 m, to the point with the sign to Guajara. The sign shows the mountain at 5.4 km. 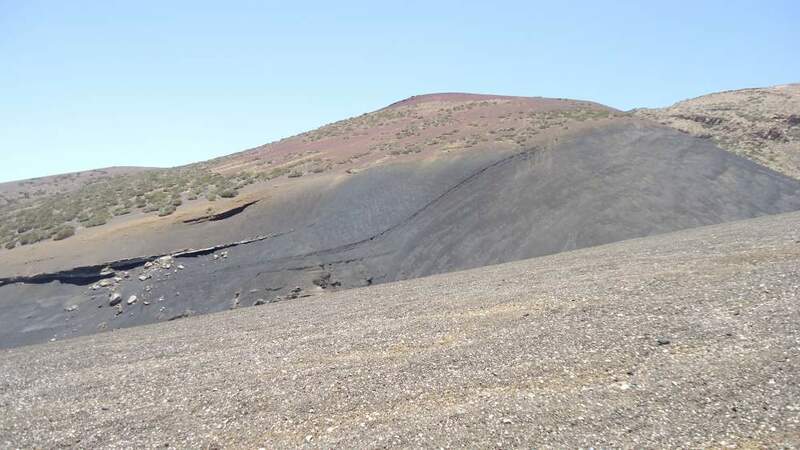 At 2100-2200 meters of altitude you will be passing through a beautiful area of black lava sand. The surface is very soft in this part and this makes the progress even more difficult and slow. 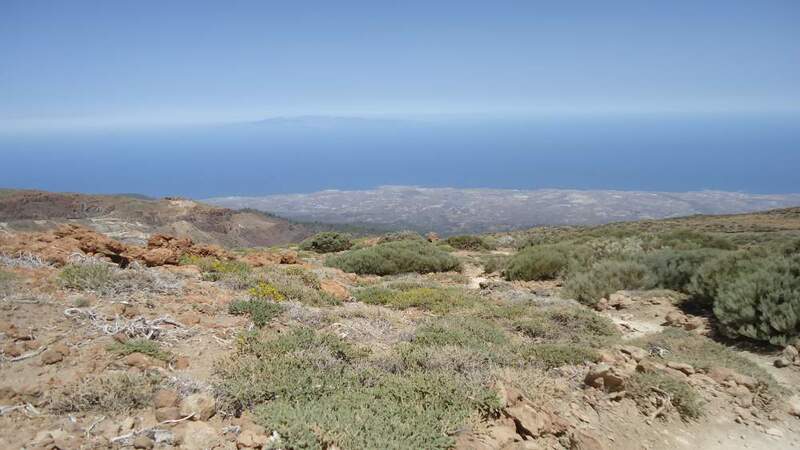 But this is an area without trees and you will have spectacular views over the south side of the island. The general direction is the north-northeast, toward Degollada de Guajara pass. Above 2200 meters, I felt altitude very badly. This was surprising as I have climbed the mountain two times before, and much higher Teide several times. So my progress was not the best. I reached the summit after 2 hours and 15 minutes (from Paisaje Lunar), from Vilaflor this was in 5 hours. There was no other soul on the mountain all the way up from Paisaje Lunar. 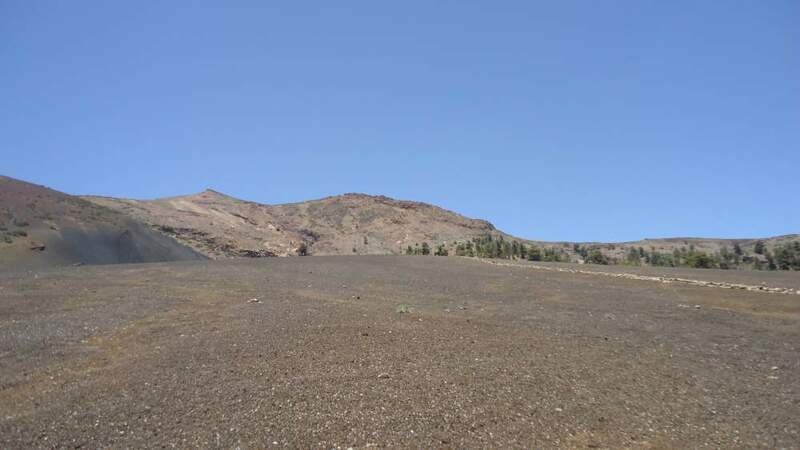 I descended following the north route toward Degollada de Ucanca and continued toward the hotel Parador, where I arrived at 5:15. 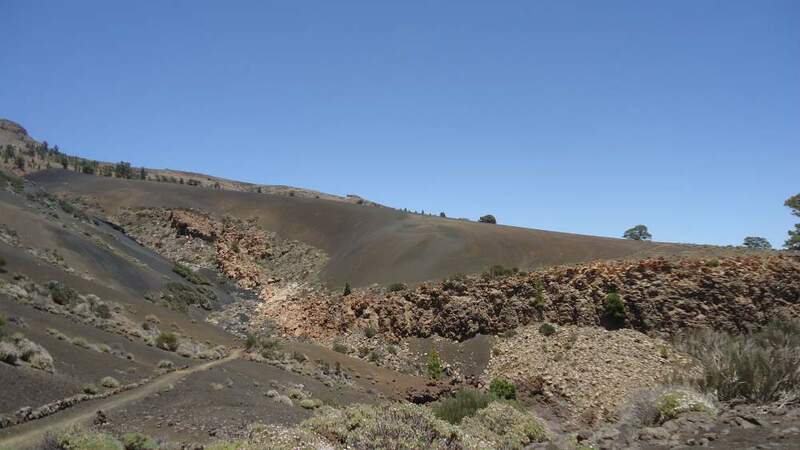 So from Vilaflor to Parador, with the Guajara summit climbed and a break at Paisaje Lunar, my timing was 6 hours. 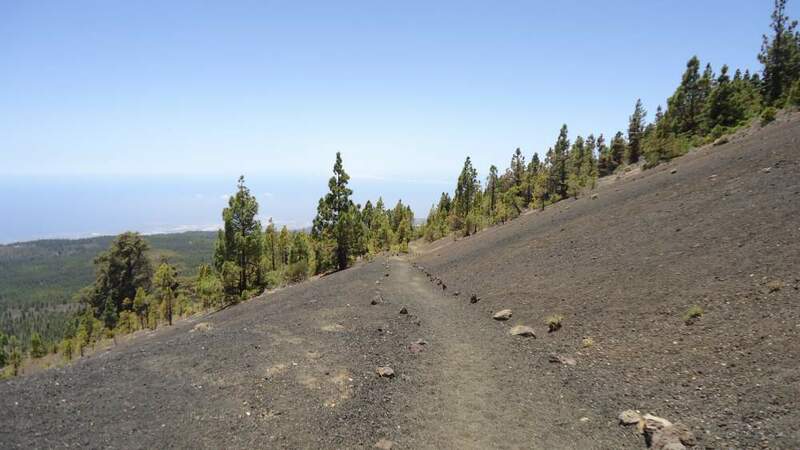 The tour implies climbing the height difference of 1285 meters to the summit, and then descending 580 meters to the hotel. At the beginning of black sand area. Tajinaste rojo – endemic species. 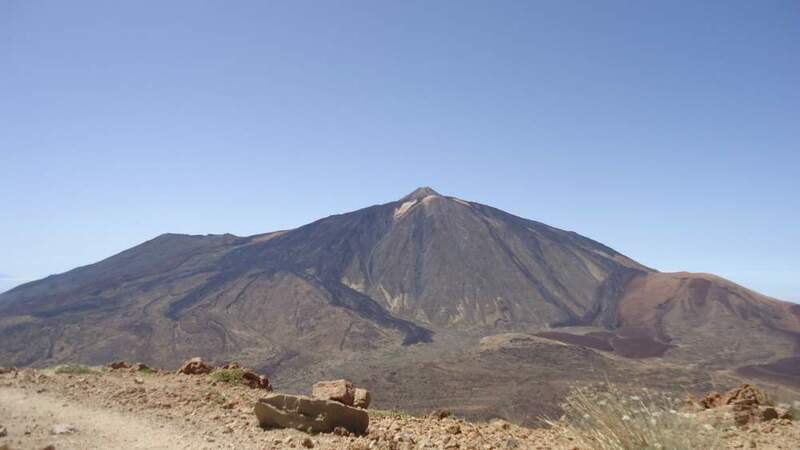 At Guajara pass, the first view of Teide. Teide (3718 m) seen from the summit of Guajara (2714 m). Hotel Parador as seen from the summit. Descending Guajara, the north cliffs. I hope you like the text and find the information useful, if this is so please share it with others on your favorite social media. I shall be happy to have some comments in the box below. 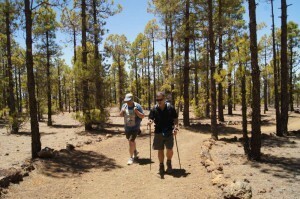 See also about numerous hiking routes on Tenerife here with this site. If you need accommodation on the island please check with Interhome, and Booking. They provide a large variety of holiday homes and apartments. I have never tried this before but if I ever do consider that I will be going to this exact place. Any great climbing places to recommend for a beginner like me? Hi Lee Zhi, thank you for visiting my site. From Vilaflor to Guajara is a nice non-technical tour so any beginner can do it. Once again congratulations on your article 🙂 I really do love them and this one is full of pictures which I love to see when it is about the landscape. Where you just there for hiking or did you anything else? Hi Don, thanks a lot. 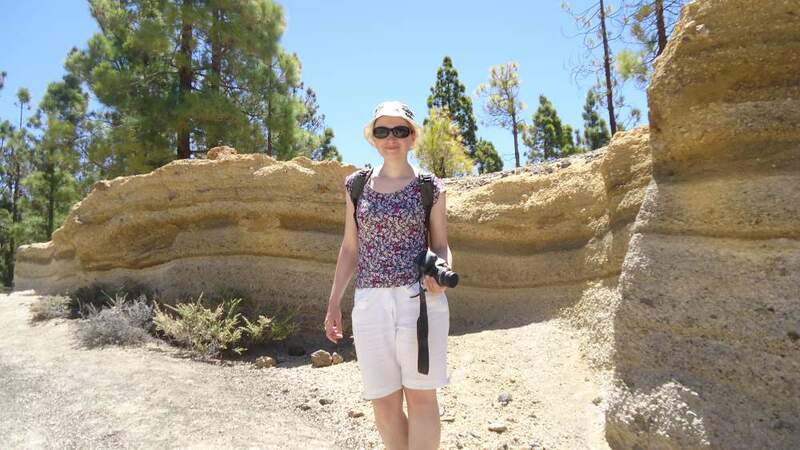 To answer your question, I have been living on Tenerife and working at the Institute for Astrophysics, for one year. The saying “an image is worth a thousand words” could not be more true than when looking at the images you’ve shared. Do they have trials to accommodate different abilities? Example, would it be possible to plan a family trip with kids between 9 and 12 years of age to hike this area? Can’t wait to hear back from you and to look through your other adventures! Hi Catherine, great to read your comment. There are many trails there. 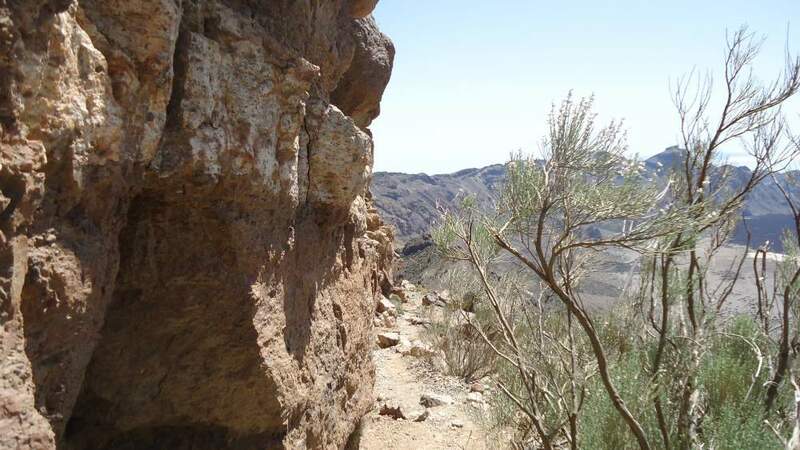 You can walk with kids up to Lunar Landscape and back, just have enough water with you. Going all the way to Guajara would be too much and I would not recommend it. But you can go to Guajara from the north, starting at Parador in the crater area where you come by car. I described it in another page. I really appreciate you sharing a link to such relevant information. Thank you Catherine, great to meet you. I’m trying to remember if I visited this area as a 12 year old on a family holiday back in the mid 80’s. 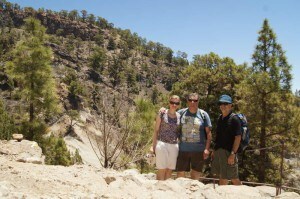 We went to Tenerife and a couple of tours of mountainous areas ( one of which I’m sure was a volcanic situation ). Does this ring any bells to you? Am I in the correct area? Hi Chris, you are surely in correct area. This is all volcanic. 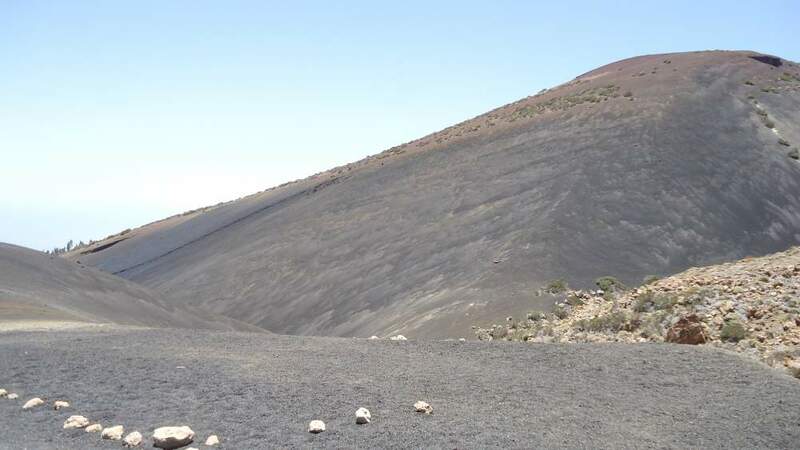 You must have visited the big crater so Guajara is there, cannot be missed. WOW! I love your site. 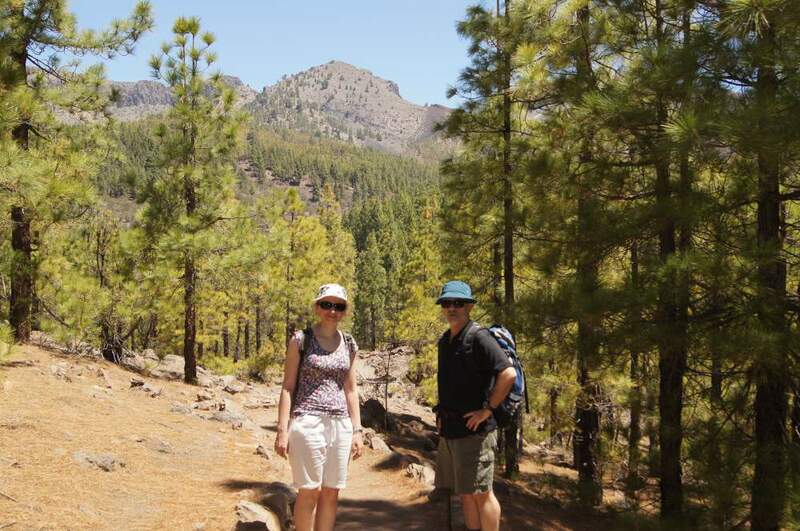 Being keenly interested in hiking and visiting remote locations you have inspired me to consider Tenerife. My last venture was into the Amazon jungle last year, but I have fond memories of Mount Shasta and also the Snowy Mountains in Australia. 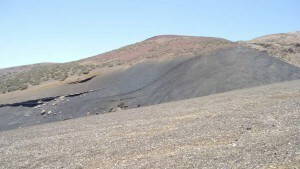 I find volcanic landscapes really interesting. 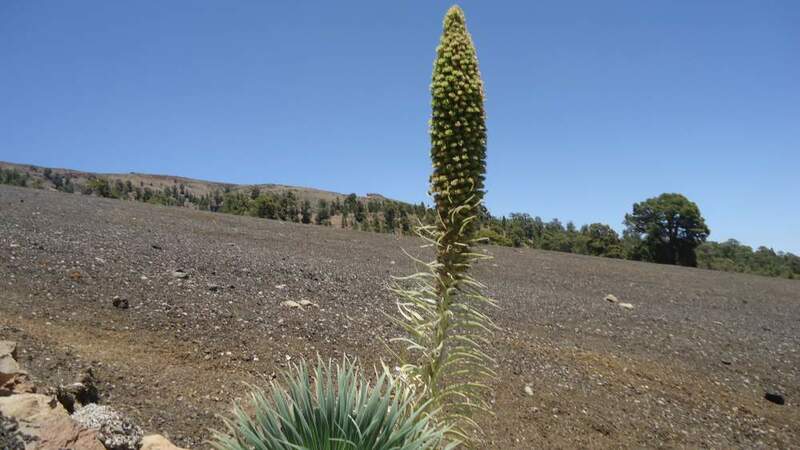 They seem to produce very strange plants and look very different to mountains formed from plate buckling such as the Himalayas. I have lived in Sichuan province in China and the Himalayan foothills (mountains) from the Chinese side are easily accessed from Chengdu. The mountain there are breathtaking and also produce strangely beautiful lakes and forest flora. The added attraction of wild Pandas there too. It looks like trekking in Tenerife is a good pick for a short visit from what I can see of the facilities there. Is it easy to organise hiking tours and trail access from hotels there? Hi Eric, great to read your comment. You have traveled the world man! I can envy you. 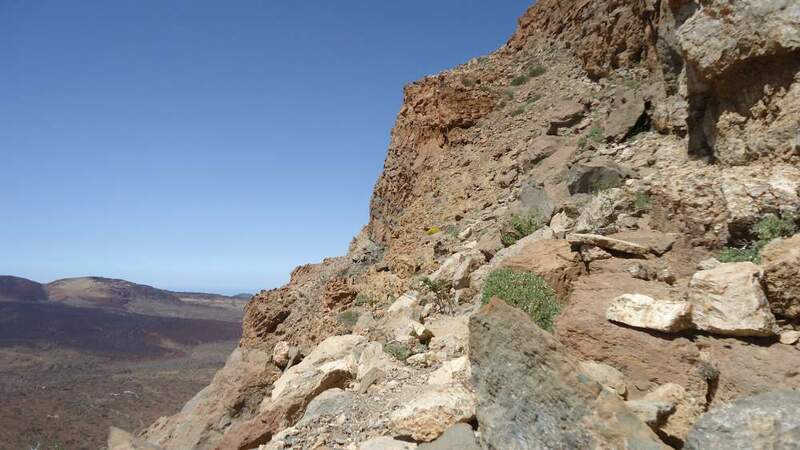 Tenerife can offer a lot, both for climbing and hiking. I walked just a couple of weeks ago a tour of 35 kilometers in Anaga rain forest area of Tenerife, 8 hours in total and 6 of them in clouds, literally. Hard to describe such moments of solitude. Organizing a tour is rather easy, renting a car is the cheapest in Europe, and bus service is also very good, roads are very attractive, some going over 2300 meters above the sea. Plenty of reasons for a person like you to come. I enjoyed your article on the lunar landscape and you have a wonderful collection of photos. Looks like it would be a great day trip with the family. I am excited by some of the fantastic views. Do you have any idea how many miles you end up walking when you take the tours? 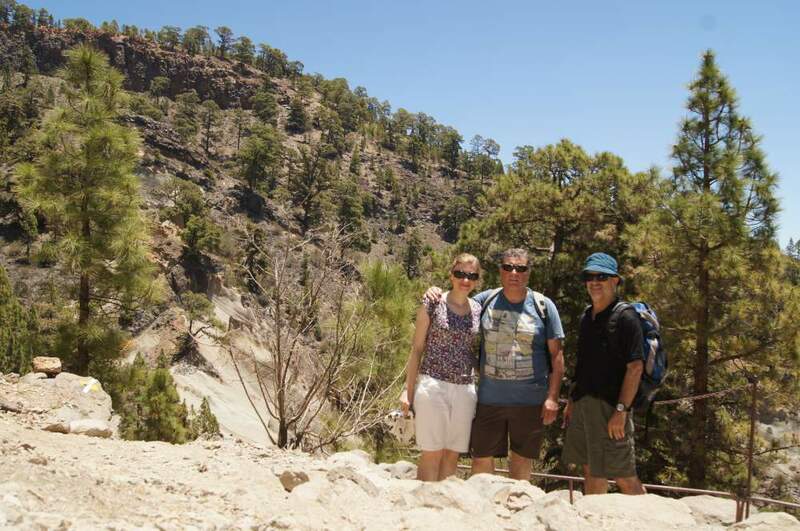 Hi Debra, the views are breathtaking, in this tour and in some other I made on Tenerife. Distances depend on the tour. in this particular case this was around 15 kilometers. 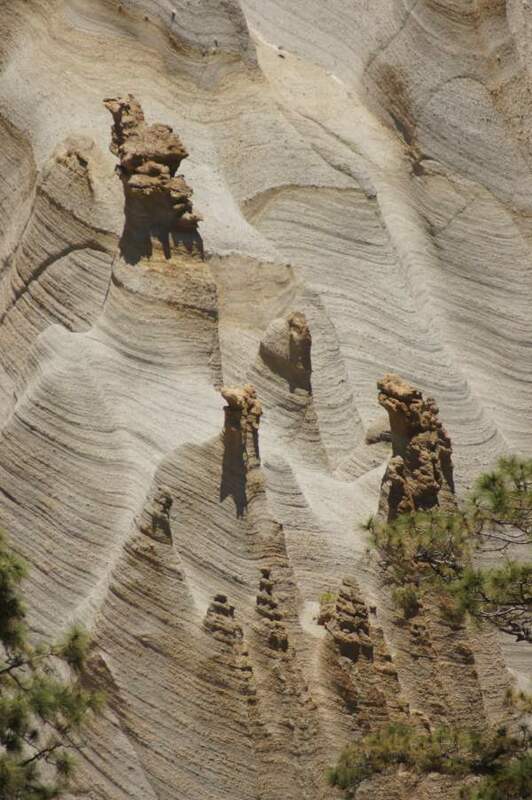 You have an amazing collection of the lunar landscape and it looks like a great tour or day trip to take. I see too that the view are wonderful. Thank you for sharing the beauty. Many thanks for visiting this particular page. It was a great day for us in such an environment. 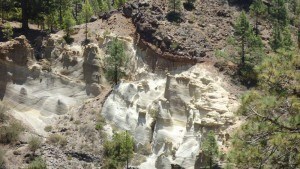 You might like to see also this tour on Tenerife island. So apart from this place is there any other mountain viewing sites you can recommend? Sure there are, see one here. 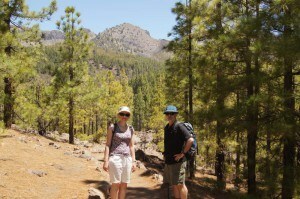 Tenerife is a great spot, some claim that 9 million people come here every year. There are good reasons for this. 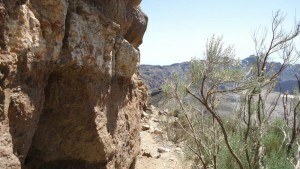 I am a fellow hiker and I enjoy seeing other sites and getting ideas of how to present and where to go. I hope you do not mind if I use some of you ideas for my site and you can do the same if you want to use anything from mine. I have not done a lot of hiking in Europe but I will be trying to include it in my plans. Hi there, thank you for visiting my site. Great that you like what I present within this page and I hope it can be of some use to you.